Captivating architectural scenes from life, acclaimed Canadian Artist Heather Kocsis builds stunning dimensional wall sculptures using layers of wood. 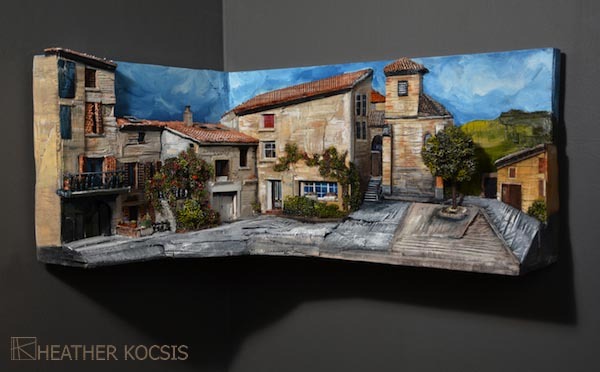 Kocsis’s awe-inspiring work exemplifies originality, artistic innovation and excellent craftsmanship, appealing to the art collector, designer, architect and lovers of buildings. Her work adorns public spaces, corporate offices, private dwellings, hospitals and museums. 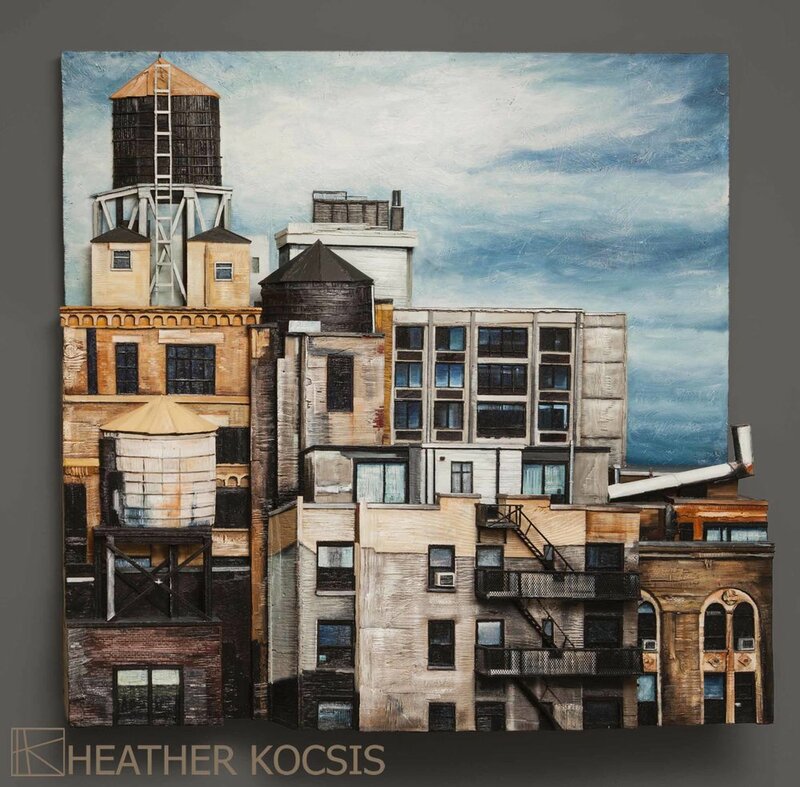 Using photographic references, Heather Kocsis is capable of creating a work from anywhere around the world and ships internationally. Outstanding commissions include: ONYX Chelsea, NY, NY, The City Reliquary Museum, Brooklyn, NY, The Sony Centre for the Performing Arts, Toronto, ON, St. Mary’sHospital, Kitchener, ON; The Castle, University of Pennsylvania, Philadelphia, PA.